What Makes Single-Speed Bikes so Appealing? From recreational riders to competitive racers, plenty of cyclists are opting for single-speed bikes these days. But what makes single-speed bikes so appealing in comparison to bikes with multiple gears? Let’s take a closer look. On a single-speed bike, there are no gear cables, shifters or derailleurs to drive up the cost. This means that manufacturers are able to use better-quality components for a lower cost. You could save hundreds of dollars on a high-quality bike! You’d be surprised how many people with multispeed bikes hardly ever shift gears. Why? Under normal riding conditions, you simply don’t need that many gears! Furthermore, changing gears on older bikes can sometimes be a clunky and frustrating process. Single-speed bikes have a more streamlined design, and many cyclists find them easier to ride. Because there’s less to think about when riding a single-speed bike, you can just relax and enjoy the scenery. If you prefer a bike that doesn’t require a lot of maintenance, a single-speed might be right for you. 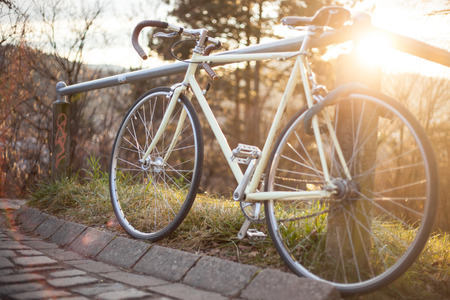 Rear derailleurs and shifters are the most common cause of bicycle malfunctions, but with a single-speed bike, you don’t have to worry about it. Their relative lack of moving parts makes these bikes a breeze to maintain. All you have to do is check the tire pressure, brake adjustment and chain tension, and you’re ready to ride! If you’re on vacation in Nantucket and are interested in renting a single-speed bike or any other type of bike or scooter, be sure to visit Nantucket Bike Shop. Brought your own wheels? We also do repairs. Get ready to enjoy the beautiful seaside scenery of the island while cruising on the bicycle of your choice.